Our taxi booking management software is one of the best solutions for any car dealerships who are looking to bring their business online. Car Portal is an advanced & responsive script for creating a multi-user and multi-dealer auto portal website. Our technician team has worked to create a great car availability checking option which is used to view in calendar that contains the availability details. 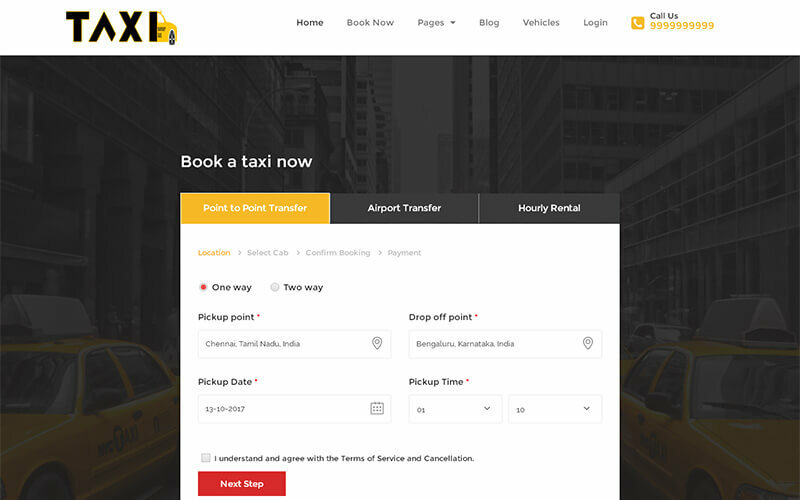 These taxi service website templates have various levels of searching module which saves your precious time. Through admin, you can fix the price for each car and supervise the availability of car based on date and time. You can also vary the car costing details for peak hours. If the user has registered once for a car then they will get notified our invoice details rejuvenate. The greatest advantages of this custom taxi website design script are multi-language support, multi-currency support, multi-pick up and drop off locations, calendar availability with updated details, modify reservations, car availability details, advanced CMS content, PayPal payment integration, brief description, Google optimization, responsive design. You can optimize this taxi website design company script by fixing price per hours or day. The fancy and expensive car listing make you attract the customers. The user-friendly coding without developer support you can supervise your website. The design can be customized to match your needs and they can be used with different templates. We will provide you with one year technical support and have an offer of six months upgrades for source code. Beautiful script that I ever work. Good customer support and I can recommend this script. Thanks for PHP scripts mall.!!!!! Great script. Has been customized wonderfully. The customer support is very cordial, quick, and many at times the support has gone beyond my request, and has helped me out to fix things. Have a great sale!!! !…..